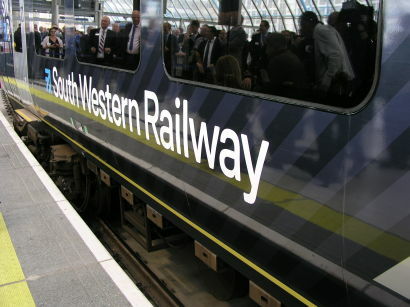 The RMT has announced the dates of a three day strike on South Western Railway. Train services are set to be disrupted from Thursday 21 June to Saturday 23 June, as staff walk out for 72 hours in the continuing dispute over train staffing. These dates are the final three days of Royal Ascot week. RMT general secretary Mick Cash said: “RMT has made every effort to progress talks with South Western Railway but there has been a total lack of goodwill from the company and as a consequence we have no option but to confirm this further round of industrial action. “The responsibility for this escalation rests solely with the company who know full well that the union won’t stand aside while they play fast and loose with both the talks process and the safety and well-being of the general public. An SWR spokesman told Railnews: “We are very disappointed that the RMT has called for more strike action, as we were engaged in positive dialogue with them in an effort to resolve this dispute. We had offered further talks and were awaiting their response. Meanwhile, the performance of Govia Thameslink Railway has sagged today, mainly because a failed engineering train blocked the line between Gatwick Airport and Purley. As a result, 15 per cent of trains in the reduced timetables have been cancelled or were delayed by more than 30 minutes. Northern has improved again, with only 3 per cent of its trains being cancelled or running at least 30 minutes behind time so far today. Both operators introduced emergency timetables on Monday in a bid to improve reliability. Rail Delivery Group regional director Robert Nisbet said: “We are sorry for any disruption people have experienced this morning. Train companies and Network Rail are working together to resolve immediate problems but it is important to reassure customers that this is not about the timetable.